Bethany Hamilton is rewriting the rules on being a fearless athlete. This is the untold story of the heart of a champion and her resilience against all odds to become one of the leading professional surfers of our time. 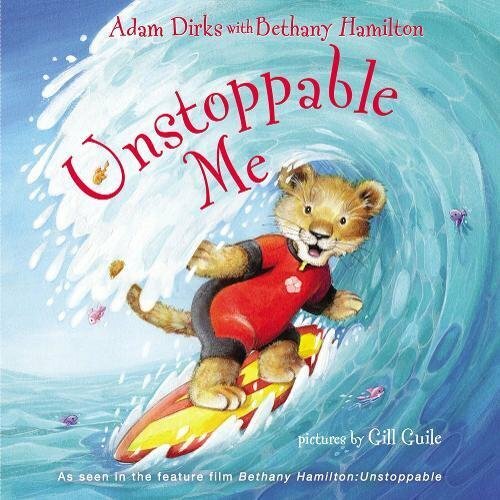 Unstoppable Me, written by New York Times bestselling author and champion surfer Bethany Hamilton with husband, Adam Dirks, tells the story of Makana the lion, who loves to surf but loses her nerve when she wipes out. When her friend encourages her to go back out again, Makana summons up the courage and discovers the success that comes from believing in yourself and never giving up. In Be Unstoppable, New York Times bestselling author and champion surfer Bethany Hamilton shares how faith, love, and passion have pushed her beyond all expectations. Alongside over sixty breathtaking photos from the making of her new documentary, Bethany Hamilton: Unstoppable, Bethany inspires readers to be bold, enjoy life, and be the best they can be. No one knows what will happen along life’s journey, but Bethany's sense of wonder and adventure found through hard work and devotion shines through all her pursuits.